Our family has been involved in robotics competitions for several years now, with Elizabeth competing while Ann and Jon help coach and mentor. Elizabeth just finished her second season competing in FIRST Tech Challenge with her team, Brick Buddies, winning the Florida state championship. 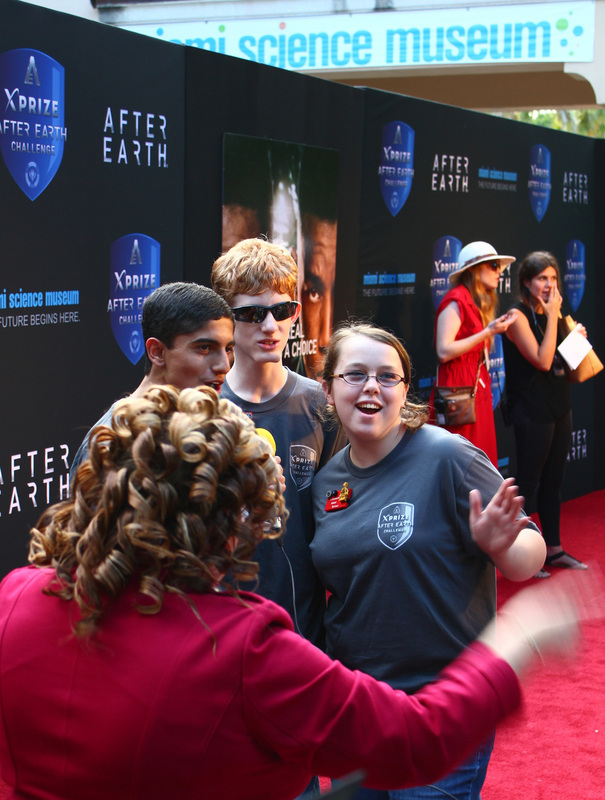 Just a few weeks later, her team was back together working on a project for the XPRIZE After Earth Challenge, a summer competition for students. They were asked to be an ambassador team and encourage students to participate. As part of that, we travelled to Miami for an event at the Miami Science Museum with Will and Jaden Smith to promote the challenge as well as their new After Earth movie. 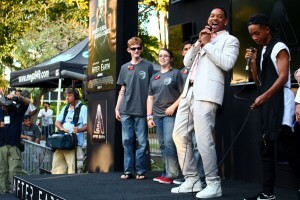 It was quite an experience for the kids – walking the red carpet, talking to media, and getting on stage with Will and Jaden to talk about robotics and the XPRIZE After Earth Challenge. If you can pull together a team of 1-4 students ages 13-17 plus an adult team captain, check out the challenge and give it a shot. The first phase of the challenge is to create a two-minute video. Brick Buddies posted a list of tips on creating the video. You can learn a lot and you never know where it might take you. We owe a big thank you to all of our Thinkamingo customers and supporters for giving us the opportunity to take time to participate in things like this. This entry was posted in company and tagged robotics, science, STEM by Jon. Bookmark the permalink.